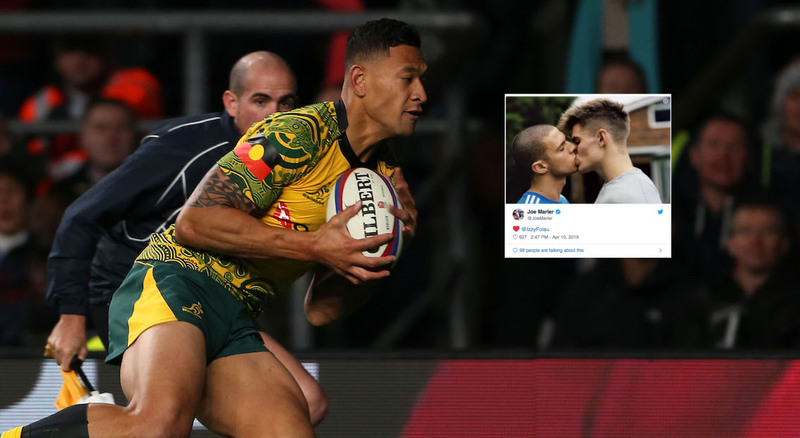 Joe Marler has taken it upon himself to troll Israel Folau after his latest anti-gay posts – and it’s brilliant. Folau, 30, escaped punishment for similar comments last year, with the governing body saying it accepted – but did not support – his “position”. On Wednesday, he posted on Instagram that “drunks, homosexuals, adulterers, liars, fornicators, thieves, atheists and idolaters” should “repent” because “only Jesus saves”, and made similar remarks on Twitter. Marler has the perfect response. RANKED: Who are the best 5 uncapped rugby players in the world? Marler is a numpty who didn’t have the grit to stick it out in the sport he choose. That makes it a bit rich to be commenting on a man who stands head high for the religion that he believes in. Maybe Marler ought to grow some balls man up and stop crying that he cant handle what he believes in instead of showing his mental age in a tweet..